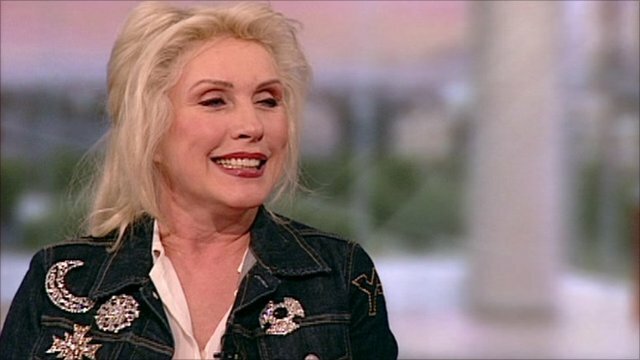 Debbie Harry on Blondie Jump to media player Singer Debbie Harry is taking part in a concert to raise money for the Killing Cancer Charity. She will be appearing alongside The Who, Jeff Beck, Bryan Adams and the Verve's Richard Ashcroft. Music world stars on NME red carpet Jump to media player Blondie, Sir Paul McCartney, Lily Allen and Haim were all winners at this year's NME awards in London. Blondie are celebrating 40 years in the music business. To mark the release of their 40th anniversary album, they performed at the BBC's Maida Vale studios, and the band's Debbie Harry and Chris Stein, spoke to Newsnight's Kirsty Wark. Harry, who is 68, said: "I certainly never expected to have this kind of life. I don't know if my kind of life actually existed when I was a child." Watch Blondie perform their 1979 hit, One Way or Another, from the album Parallel Lines. 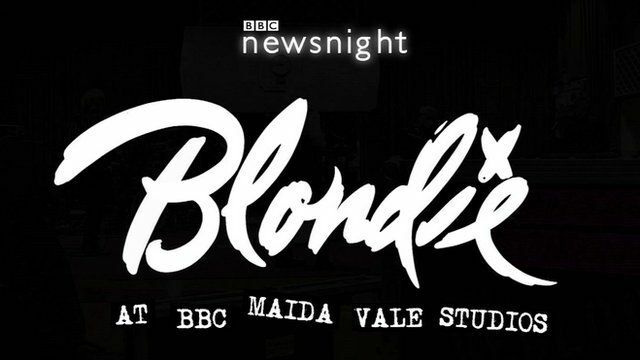 You can see the interview in full on Newsnight on Tuesday 13 May at 22:30 BST on BBC Two, and then afterwards press the Red Button to watch Blondie at BBC Maida Vale, an exclusive 45-minute session of classic hits and some new material.